Many thanks to the sponsors who helped make Bob's trip possible this year. 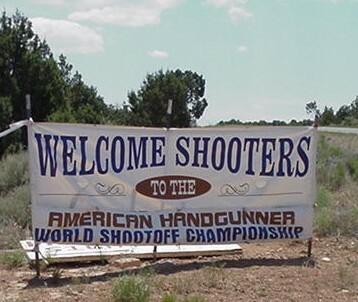 A special thanks once again this year to Tom and Marsha Doyle. Your unending support and belief in me continue to be greatly appreciated. 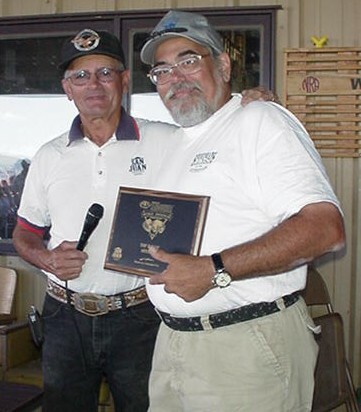 Paul Miller (owner of San Juan range), presents the award for "Top Range Officer" to Bob, an award bestowed by his fellow shooters acknowledging his hard work and dedication to the smooth operation of the match. 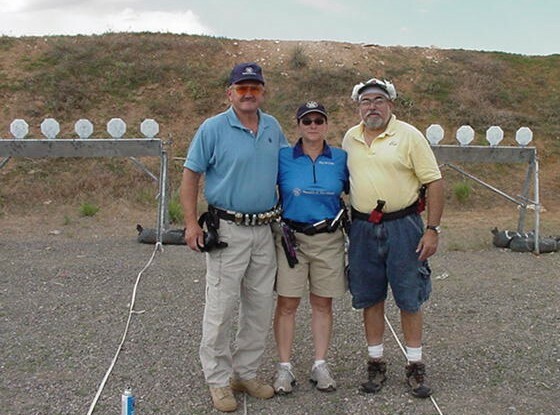 Bob rubbing shoulders with multiple time world champions Jerry Miculek and Kay Clark Miculek. The more difficult "Tombstone Territory" - extra shots, still a good run.